Connor is a documentary filmmaker based in Portland, Oregon. He is a proud member and supporter of the International Documentary Association. When not working on Hike the Divide, Connor teaches at Tucker Maxon School, which has a focus on education for deaf and hard of hearing children. Connor graduated from Loyola Marymount University with a B.A. in English/Creative Writing. Connor thru-hiked the Pacific Crest Trail in 2014, beginning five days after graduating from LMU. He has been engaged with Portland’s grassroots climate movement as a volunteer ever since. His interest in documentary filmmaking springs from a broader intention to use storytelling as a tool to leverage privilege. of Brave Alice Productions is a journalist, activist, filmmaker and yogi who believes in the power of media to bring people together through emotive, visual storytelling and information. Kristen grew up in the wild and has been an environmental and social activist since age 8. 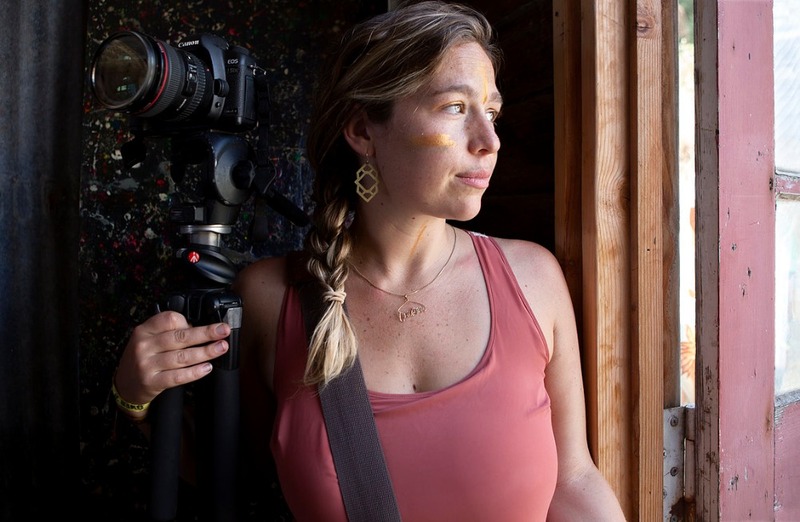 Cassie Goodluck-Johnson is a Navajo/Anglo filmmaker and photographer. As a teen, two of her short films aired on HBO Family Channel. Cassie graduated with a B.A. in film at College of Santa Fe (2007). Her past production work includes RENOVATION NATION, YOHAN: THE CHILD WANDERER, GRAMMY AWARDS, BET HIP HOP AWARDS, PRIMETIME EMMY AWARDS, 39TH PEOPLE’S CHOICE AWARDS, and QUEEN ANNE’S LACE, with post-production on JERSEY SHORE and QUEEN ANNE’S LACE. She was a mentor for Native American youth in The Superfly Filmmaking Experience in Seattle, WA (2013-14; featured in Seattle International Film Festival) and for Paper Rocket Productions' filmmaking workshop at the Navajo reservation in Shiprock, NM (2015). She is now teaching filmmaking to Native American youth at Chemawa Indian School in Salem, OR as well as a documentary film camp for THRIVE Conference in Portland Oregon. Cassie owns Goodluck Productions and Designs, who specializes in narrative and documentary filmmaking as well as portrait and event photography. We’re also excited to be working with dear friend Alejandra "Rocket Llama" Wilson who is crafting some beautiful visuals for us. One of Rocket's original pieces for the film.